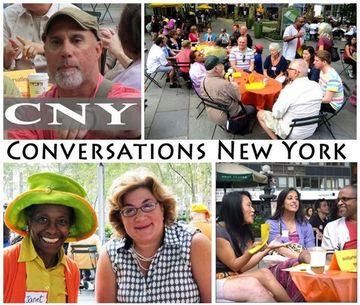 CNY CELEBRATION-Meeting – Thu, Jan 29, 5:30pm | "Let's Talk, New York!" Please join us as we suit-up for our exciting Winter/Spring season! We’ll finalize plans for our month-long festival of conversations about LOVE throughout the city during February, begin plotting our second annual CONVERSATION DAY outing in Bryant Park (again in collaboration with our London partners), and share savvy tips and take-aways including the world’s best pocket-conversation-organizing tool.